The Community Living Support (CLS) is a client-centred, rehabilitation program that helps individuals living in New Westminster develop independent living skills as they work on their recovery from mental illness. In addition to developing life skills and coping skills, clients are also assisted to navigate the formal support systems such income assistance, old age pensions, primary health care and other requirements for daily living such as obtaining driver’s license, and help obtaining job placements. 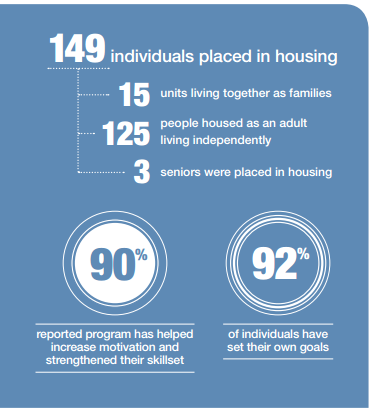 Some CLS clients also receive a housing subsidy for rent through the Supported Independent Living (SIL) program. For more information, please call 604-516-8080. The Transitional Housing program supports residents to improve or acquire the skills needed for everyday living while regaining a sense of social inclusion through activities at community centres, clubhouses, and local libraries. CMHA VF operates three transitional houses, two (2) in New Westminster and one in Maple Ridge. Residents of our Transitional Houses can transition to Community Living Support (with or without rent supplements form Supported Independent Living) as they gain the skills, confidence and wellness needed to live more independently.